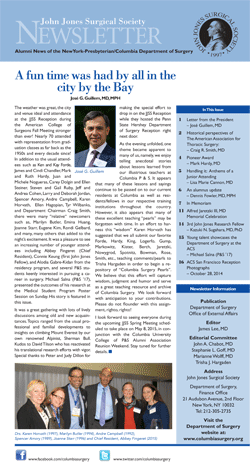 Welcome to our newsletter page, containing articles of interest to both patients and physicians. Patients and their families are encouraged to read our professional publications to learn about the latest medical innovations at NYP/Columbia. 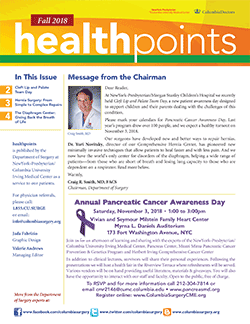 Healthpoints, The Liver Connection and our Weight Loss newsletter contain articles written for a general audience, including patient profiles and helpful Q&As. Our surgeons care for the community by providing education to those who may be considering surgery or who need a second opinion. Healthpoints gives the inside scoop on diagnosis and treatment of conditions from adrenal to vein disease. 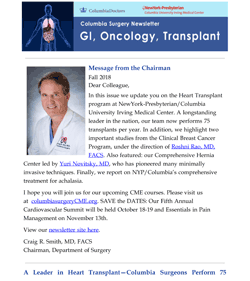 This quarterly newsletter contains articles addressing all aspects of life before and after liver transplantation. 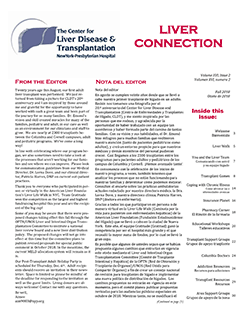 Click here to sign up to receive an email when a new edition of Liver Connection is posted on our website. 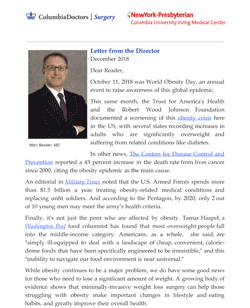 This quarterly e-newsletter highlights the latest research on surgery for weight loss, the relationship between obesity, cancer, and other conditions, as well as key events and news at the Center for Metabolic and Weight Loss Surgery. Keep in touch with colleagues who have trained and practiced in the Columbia University Medical Center Department of Surgery; learn about the activities and current DOS attending residents. 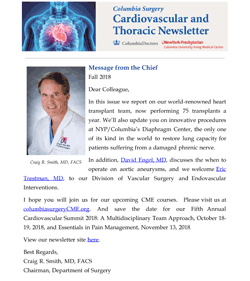 The latest news, research, and faculty publications in cardiac, vascular, and thoracic surgery at Columbia University Medical Center. Newsworthy advances, research, and Columbia University faculty publications in breast, colorectal, gastric, general, liver, pancreas, and renal surgery. 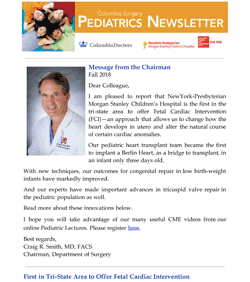 The latest advances, publications, and events in pediatric surgery (including cardiac, thoracic, vascular, GI, and more) at Columbia University Medical Center.